Everyone who works at Explorer West Middle School is committed to the school’s mission and focused on providing rigorous academics in a small, individualized and supportive environment. Explorer West teachers are dedicated, inspired and experienced in working with middle school girls and boys. Due to the size of the school, teachers can focus specifically on the education of each student as well as collaborate with their peers on integrated curriculum. They are expert educators in their specific subject areas who pride themselves in preparing their students for high school and beyond. The school’s staff is also very engaged with the students and the daily running of the school. This team works with various committees and outside resources on short-term and long-term goals. 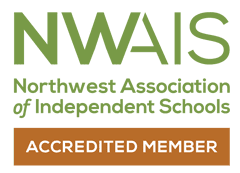 They help to identify, articulate and support NWAIS standards for the 2012 accreditation visit.